Many innovators across the Faculty of Agricultural and Environmental Sciences are working on projects to improve food security. What follows is a snapshot of some of the interesting projects developed in recent years by students and mentored by faculty. Some of these projects are realized through coursework, such as the Faculty’s Food Product Development course; other projects grow out of research work. 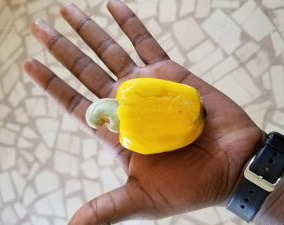 Kajou is an agri-food venture that seeks to transform the cashew value chain in Côte d’Ivoire by bringing more value to smallholder farmers. By processing the cashew nut and fruit directly in Côte d’Ivoire with local cooperatives, Kajou aims to offer a socially sourced product to key markets, while providing sustainable opportunities to improve the livelihoods and social outcomes of smallholder farmers. The venture addresses undernourishment globally by repurposing the current waste from the cashew nut and fruit and reduces the carbon footprint in global trade by serving key markets directly. Key team members are from McGill University and include three Desautels MBA students (from Côte d’Ivoire, Colombia and Brazil), a Bio resources PhD student (Queen Elizabeth Scholar from Ghana), and an undergraduate International Development Studies (IDS) student (from Bahrain). One of six teams, chosen from 70 applicants, competing in the IFTSA Developing Solutions for Developing Countries Competition. The teams were tasked with developing a product, primarily created using drought-tolerant crops, for people living in South and East Africa. The MacFoodies students Frédéric Ah-Kane, Décile Chamlian, Ada Du, Anthony Giannetti, Ashley Marzouca, Punyanit Siripun and Yanlin Wang created "Morinmiro", a multi-purpose grain mix designed to improve the state of food security and nutrition in Somalia. The name combines the moringa plant, one of the main ingredients, and “miro,” the Somali word for grains. “We chose to address a nutritional issue in Somalia because it’s ranked as one of the lowest on the Food Security Index, and it is located in the Horn of Africa, which is currently severely affected by a drought,” says Ashley Marzouca, who completed her undergrad degree in Food Science and Nutrition this past spring. 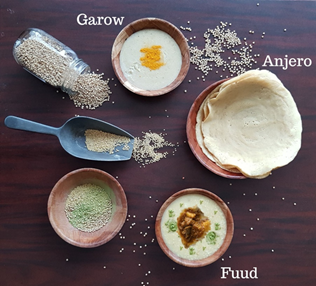 In December 2017, the students began designing and testing a highly nutritious product consistent in look and taste with traditional Somali cuisine. After trial and error, they chose sorghum and millet, hearty crops that are high in protein and iron, and calcium-rich cowpea. 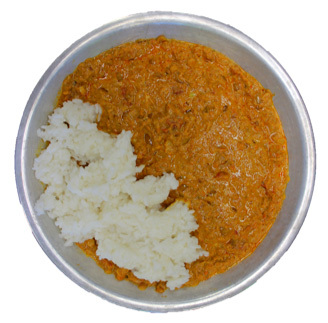 Morinmiro can be used in three traditional Somali dishes: garow (a breakfast cereal), anjero (a flatbread usually served at lunch), and fuud (a grits dish often combined with meat stew for dinner). The IFTSA & MARS Product Development Competition challenges students to invent a new food product, taking it from initial idea to testing to production to marketing campaign. Fitamin Mutimeal is a ready-to-eat stew, developed to provide many nutrients, especially calcium, for pregnant women in Yemen. Eggshell powder was incorporated to boost the calcium content, due to its high calcium content and great bioavailability. Calcium deficiency during pregnancy is not only a leading cause of maternal death, but it also leads to nutritional rickets, with 56% of Yemeni children affected. For a complete nutritional profile, a portion of stew can be combined with flour to make flatbread. Alternatively, it can be eaten on potatoes or rice to provide a more complete intake of proteins and carbohydrates. The product is nutrient dense (hence fitamin: Arabic for vitamin), competing with multivitamins for its nutritional advantages with Daily Values (DV) of 130% calcium, 150% vitamin A, 70% iodide, 35% vitamin D, and 70% zinc per serving of stew; these nutrients are commonly deficient amongst Yemenites, particularly in pregnant women and children. The flavor of the product was inspired by Saltah, a national Yemeni stew. Traditional spices common in Yemen provide a familiar flavor profile for the Yemeni people. 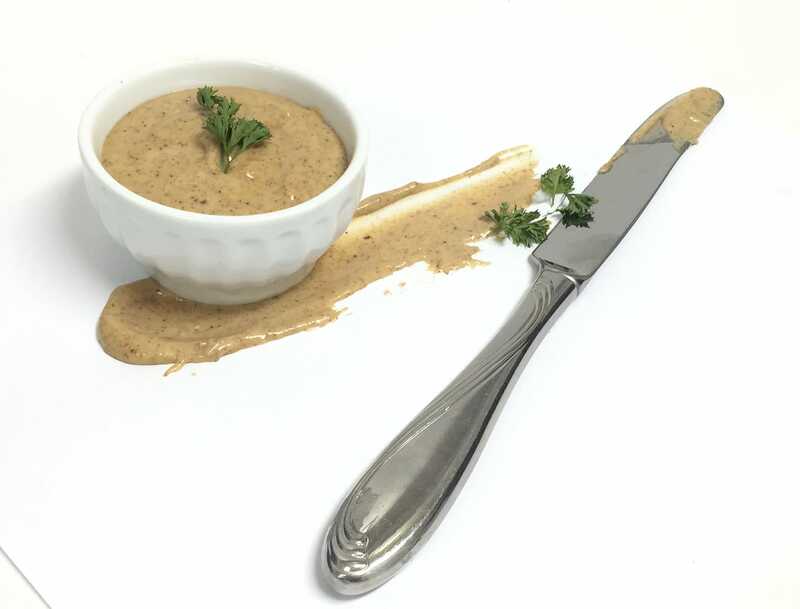 Falamus Instant Mix is a dry blend primarily composed of pre-cooked chickpea and lentil flour, as well as sesame flour, locust flour and spices. The product is formulated to meet a significant proportion of the macro and micronutrient needs, as well as the dietary restrictions of Syrian refugees. When mixed with water, Falamus Instant Mix transforms into traditional Middle Eastern comfort foods, falafel and hummus. The mix is iron-rich and extremely high in protein.